Most men and women learn at an early age that if you work out and eat healthily, you lose weight and get the contoured curves or muscles you’ve always wanted. Although this is certainly true to a certain extent, strict diet and exercise don’t always pay off as much you’d like. Dr. Kevin Charlotten and the aesthetic professionals at Q-Care Aesthetic Laser Care in Elmhurst, New York, understand your frustration with stubborn areas of fat that don’t seem to respond to however many hours you spend at the gym. That’s why they offer SculpSure body contouring — a surefire way to get permanent fat reduction results. Maybe you’ve heard of SculpSure, but you’re not quite sure what it can do. You might be surprised to learn these eight amazing things about body contouring with surgery-free SculpSure. That’s right. Eliminated fat cells don’t regenerate. It’s difficult to believe, but when you target and eradicate a specific area of fat on your body, those fat cells die, your body eliminates them, and they’re never seen again. This means SculpSure treatments provide permanent, noticeable results, without the hassle of repeating the process each year. Did you know that each SculpSure treatment takes just 25 minutes per area? And you can have multiple areas treated at the same time. In addition to being a quick, in-office procedure, the treatment is comfortable. The SculpSure device has a built-in cooling system, so as the laser heats the fat below the surface of your skin, the cooling device keeps your skin at a comfortable temperature. There’s no downtime, either, so you can get back to work or running errands without interruption. Diet and exercise are good things! They help you lose weight, which shrinks your fat cells. But even if your fat cells shrink, there’s no guarantee they won’t grow again if you’re not so strict with your diet and exercise program. Because the laser energy from a SculpSure treatment destroys the fat in a specific area of your body, you can be sure you’re getting rid of the exact fat cells you no longer want. When the laser destroys these cells, your body’s lymphatic system gradually eliminates them, so you notice even more improvement over time. SculpSure’s lasers are so powerful they can eliminate up to 24% of your stubborn belly fat, back fat, or love handles in a single treatment. The SculpSure body contouring system has four different applicators that can be used together for larger areas, like your belly, or individually for smaller areas, like your chin or love handles. Our aesthetic team customizes a treatment plan that helps you achieve your desired results. In addition to determining how many of the applicators are needed, we help you decide if you want to have a series of treatments for maximum fat reduction benefits. SculpSure heats fat cells using a feathering method, so the treated areas blend evenly into the rest of your shape. This means you get smooth, natural-looking contours. Aside from looking slimmer, nobody will notice you’ve had a fat reduction procedure. 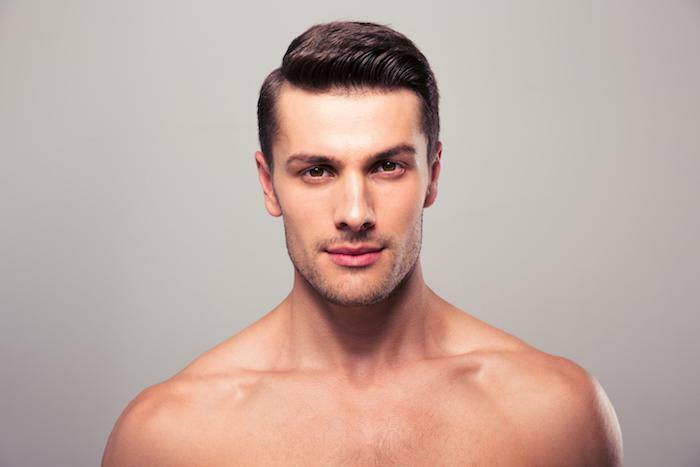 SculpSure is the perfect treatment option for men and women who just want results without the complications or long recovery that often come with surgical contouring methods. Why put yourself through a risky procedure when you can tone your body simply and effectively with SculpSure? An additional benefit of SculpSure body contouring treatments is a firmer, more youthful skin tone. Because the thermal energy penetrates the cells below the surface of your skin, it also stimulates collagen and elastin production. This helps your skin appear tighter and more supple as an extra bonus. If you have no room in your life for love handles or a stubborn muffin top — or any other pesky problem area — contact Q-Care Aesthetic Laser Care for a SculpSure consultation.